Home Knowledge Centre Blog Employee Conduct Will Pokémon Go fever hamper workplace productivity? Will Pokémon Go fever hamper workplace productivity? 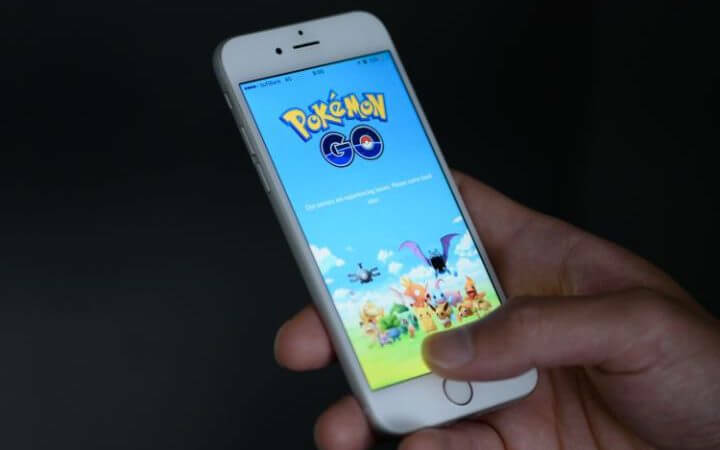 The launch of Pokémon Go has set the UK’s population into a tail spin as the race to ‘catch them all’ has people glued to their mobile phones. According to mobile carrier EE, 500,000 new players signed up for Pokémon Go on its network on Thursday, or roughly six new trainers every second. What’s more, there have been reports across the globe of people going to drastic measures in order to become the ultimate Pokémon hunter. From a man quitting his job in New Zealand to reports in America of several accidents caused during play including a car crash. If a gaming app is beginning to take over people’s lives outside of work, what could this mean for the workplace? Most employees carry their phones with them throughout the day, but how can you prevent a drop in productivity as result of excessive phone usage? A mobile phone policy will cover several different aspects of mobile phone use, and if employers have already been using mobile phones in their organisation for a while, introducing a policy may just be a case of confirming in writing what has already been happening in practice for some time. Employers would need to distribute the policy to their employees, or at least draw the employees’ attention to it and place it in an accessible location in the workplace. Where a practice has gone on for some time in an organisation, it can be said to make up part of an employee’s terms and conditions. Changing terms and conditions requires employees’ agreement and changes should not be attempted without obtaining agreement. Therefore, it would be advisable for employers to get the agreement of employees before introducing this policy. Employees should be consulted over the proposed change – this means that they should be informed of the action you propose to take, and they should be shown a draft policy and then be given the opportunity to raise any issues they may have with it. Employees should be asked to provide a signature to reflect the fact that they have read the policy and agree to its contents. To ensure that the process does not drag on unduly, employees should be informed of a date by which they should return their signed agreement, but also that they can discuss any of any problems the proposed change raises. Some employees may be opposed to the change to their longstanding benefit and may refuse to sign their agreement. Offering an incentive to all employees may help make the transition a little easier. If employees still refuse to agree to the change, there are routes for an employer to take which could ultimately end in the employee’s dismissal, however, this is not a decision to take lightly and specific advice should always be taken.